Ayodele is a graduate of Opportunities Long Island, a free apprenticeship-readiness (ARP) program started by the building trades, and which is specifically designed to prepare young adults from poor communities to compete for the limited number of apprenticeships offered by the trades each year. The program guarantees its graduates a face-to-face interview for an apprenticeship, and in the first two years of the program, 80% of its 30 graduates matriculated into apprenticeship programs with 15 different craft unions, both in Long Island and in New York City. The Opportunities Long Island program teaches critical “soft skills,” such as arriving on time, being mentally prepared for work and following instructions from people with backgrounds that differ from the students’ own. 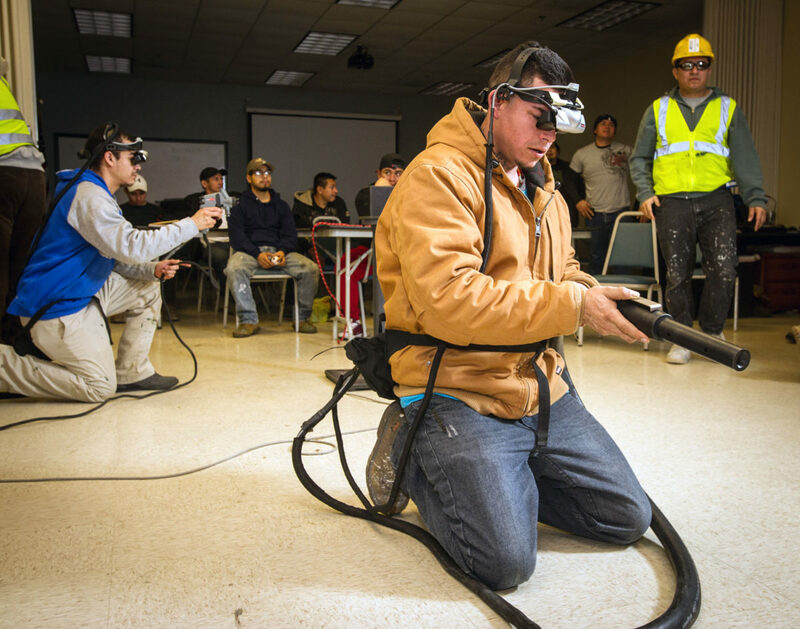 Six of the program’s eight weeks are spent at union training centers where students are immersed in the various tasks associated with being a bricklayer, sheet metal worker, ironworker, elevator constructor, as well as all the other construction occupations. The Nassau-Suffolk Building and Construction Trades Council, which represents 59,000 union workers, and the Long Island Federation of Labor, an umbrella organization of unions with 250,000 members.